Hi there lovelies! 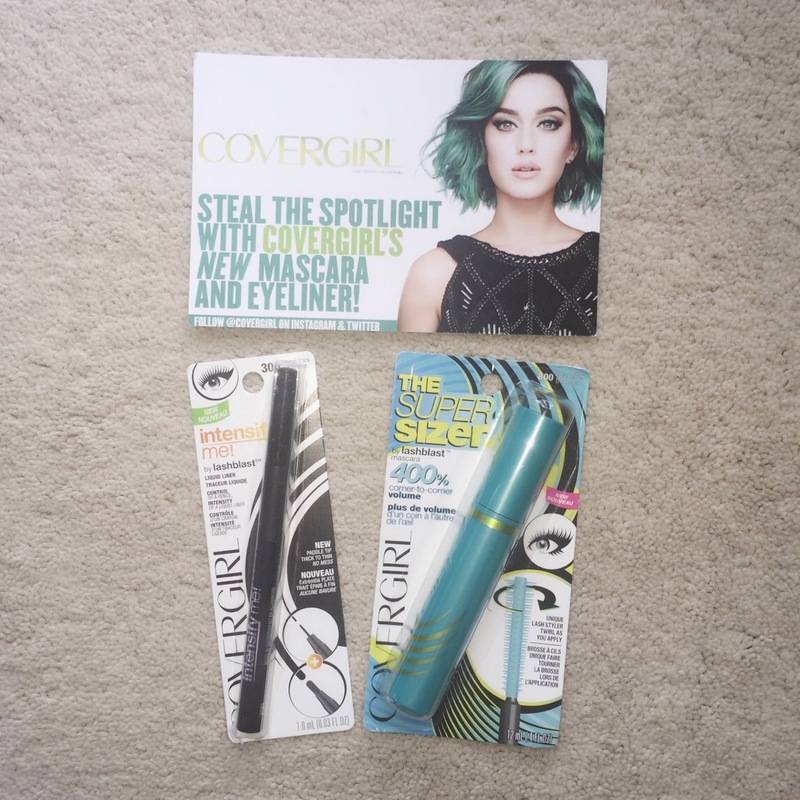 Fun news: Covergirl was gracious enough to contact us and mail out two new products that are just about to launch! Super exciting right? 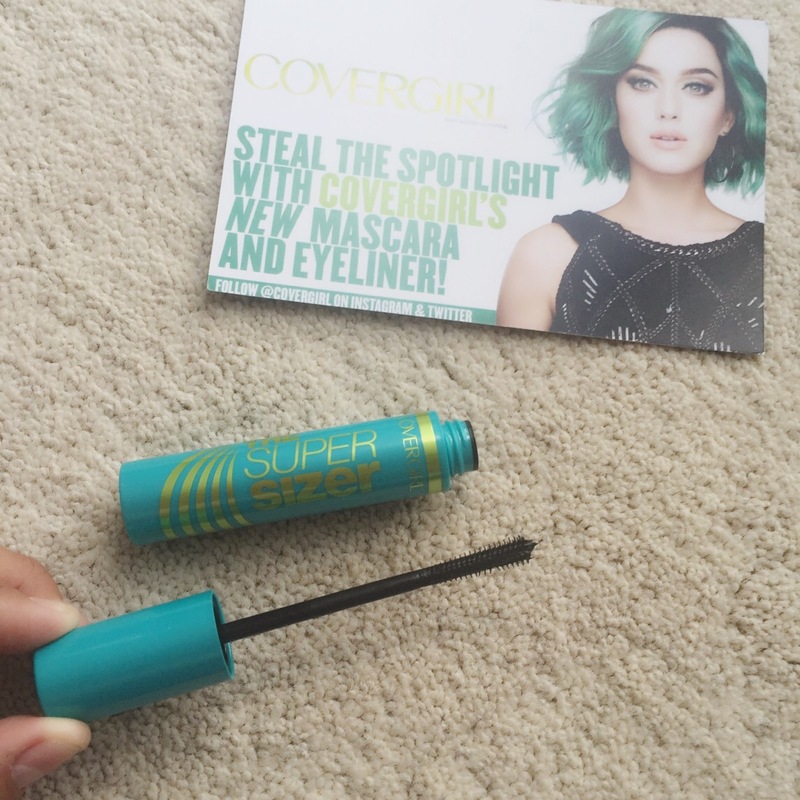 One of my favorites from Covergirl is the Lashblast Fusion Mascara, makes them really pop! Naturally I was elated when we were sent this package with their new mascara and eyeliner. I’ll be demonstrating some before and after photos and of course per usual give you my honest opinion on these products. Let’s begin! The mascara is called the “super sizer” and it claims to build up to 400% more corner to corner volume. 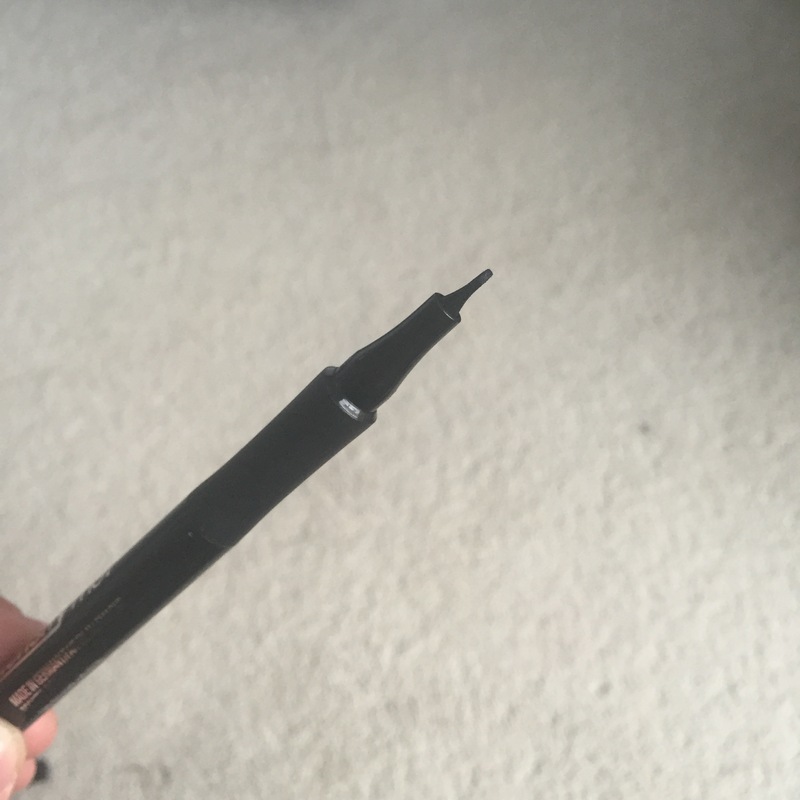 The applicator brush is made of rubber and it starts off thin and becomes fuller as you reach the top. There are also tiny little bristles in between the larger ones for an added grip on your lashes. 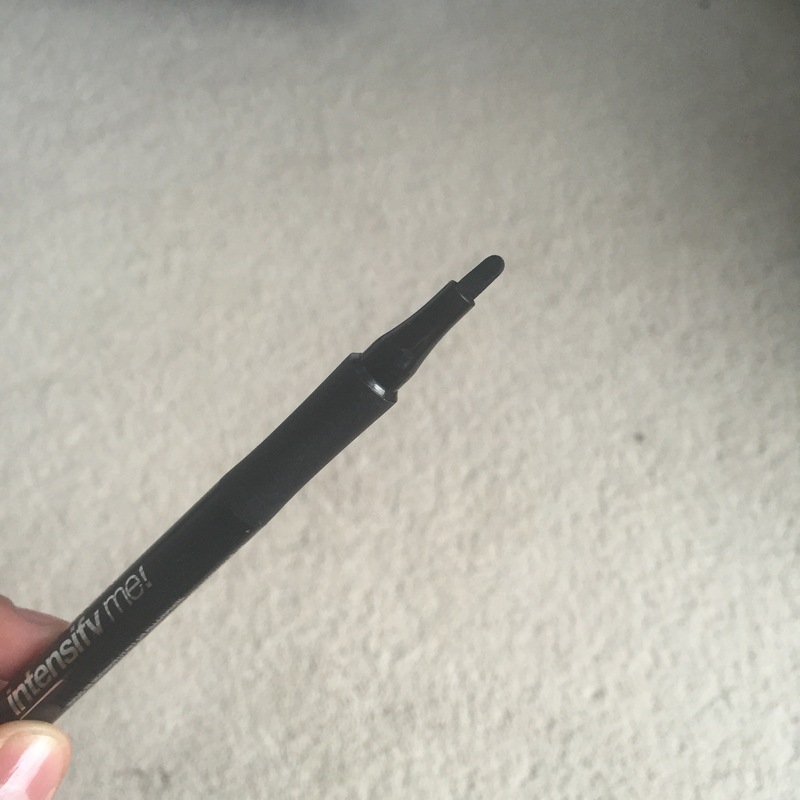 “Intensify Me” is a liquid liner but has the control of a pencil liner. The paddle shaped tip gives you two looks in one, lay it flat and it creates a thick and dramatic line turn it sideways creating a thin and elegant line. 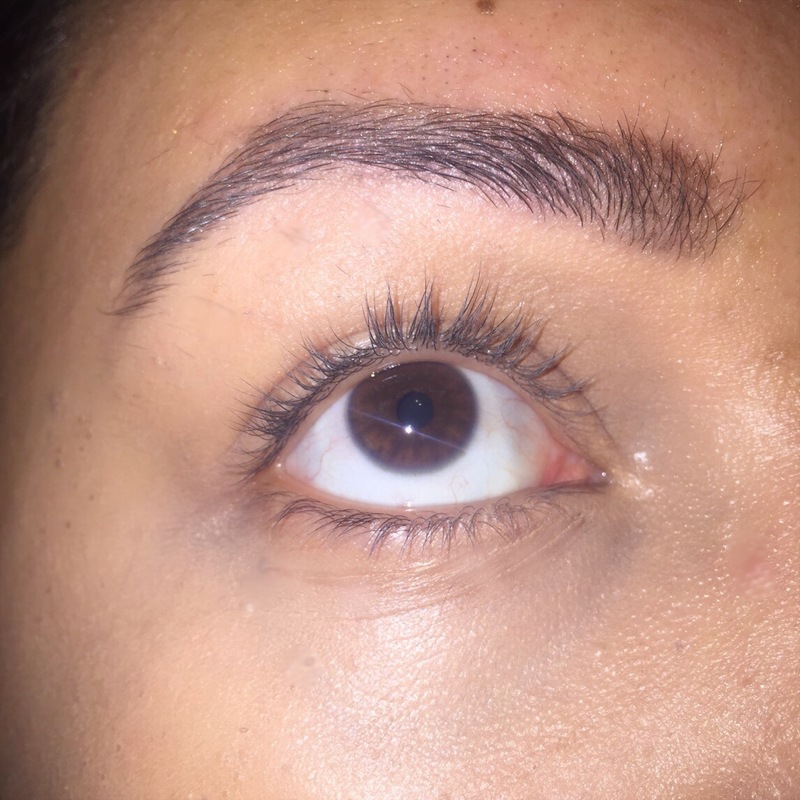 My overall thoughts: I feel the mascara is great for lengthening as you can tell in the photo they practically touched my brows after applying two coats. 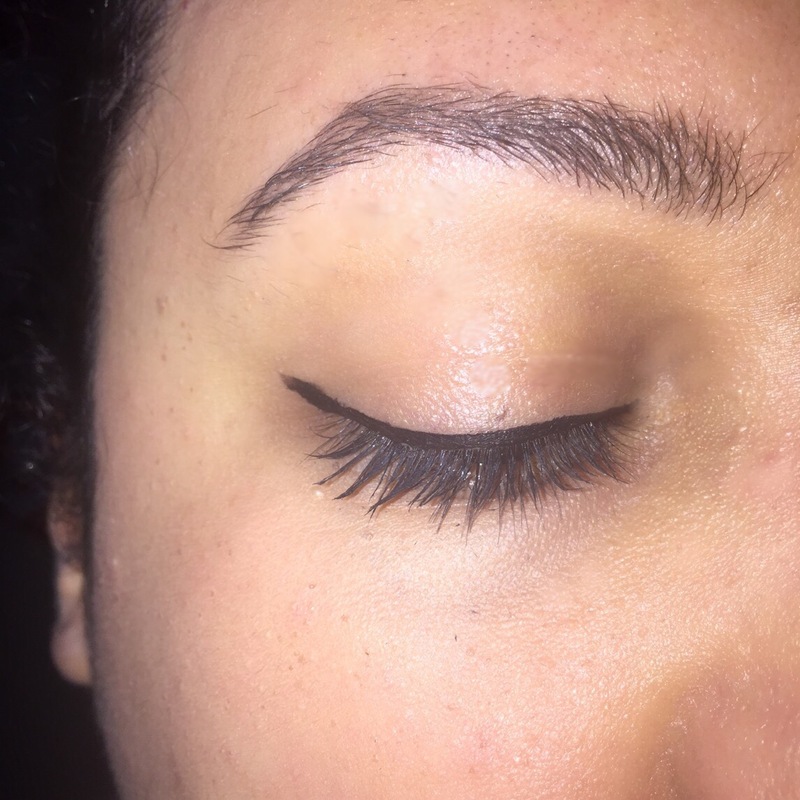 The formula isn’t too wet or gloopy which I really like and my lashes also appeared darker, this is due to the smaller bristles I mentioned before. 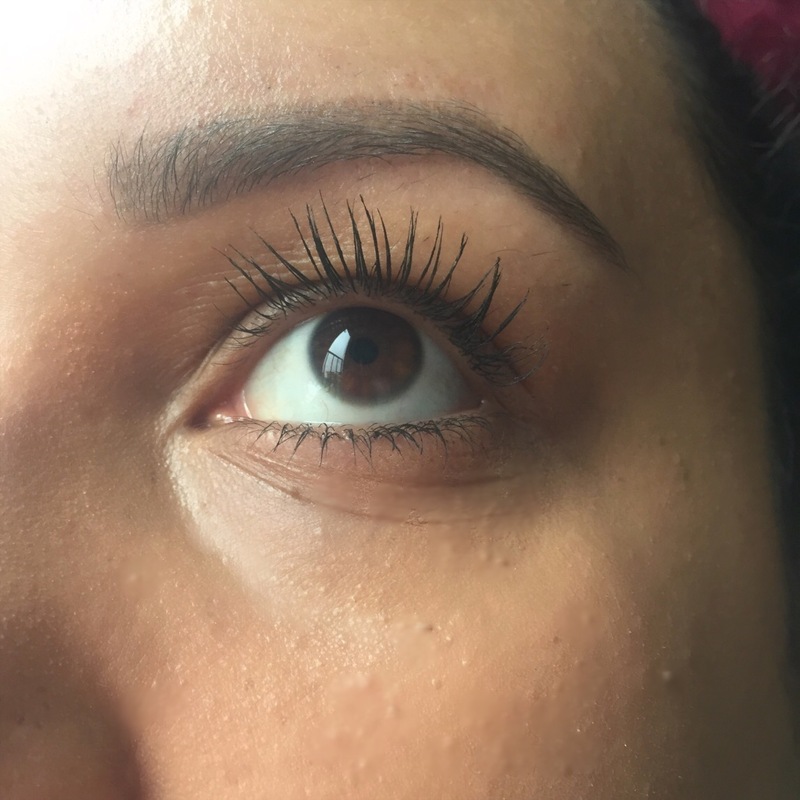 Does it volumize your lashes? I don’t think it does as much volumizing as I would like it to. I feel this had a more lengthening affect on me. On to the liner: I really loved the concept of the paddle tip making super easy to use either side for whichever look you’re going for. The formula dries quickly leaving a satin finish. As I mentioned above I am awful at applying liquid liner but this consistency is really smooth and glides on beautifully! Thank you again Covergirl. Such a pleasure working with you! I can definitely see a huge difference in the length of your lashes!!! Super long right! I was highly impressed! Thanks for the love hun!